Mount Everest is the highest mountain on Earth, as measured by the height of its summit above sea level. 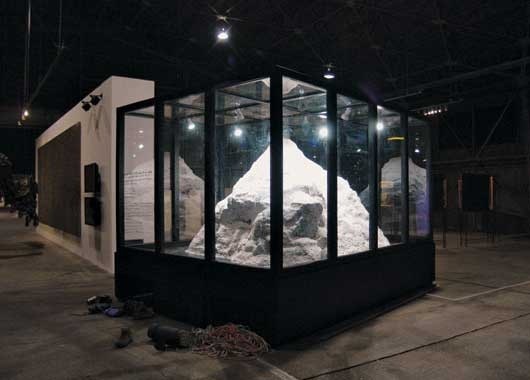 In May 2005, artist Xu Zhen led an ascent on Everest, and succeeded in removing the summit of the mountain, reducing its height by 186cm, Xu Zhen’s own height. 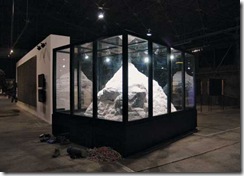 The summit of the Mount Everest has been touring art exhibits throughout the world ever since.